An important brush for anyone with a bowlcutter. 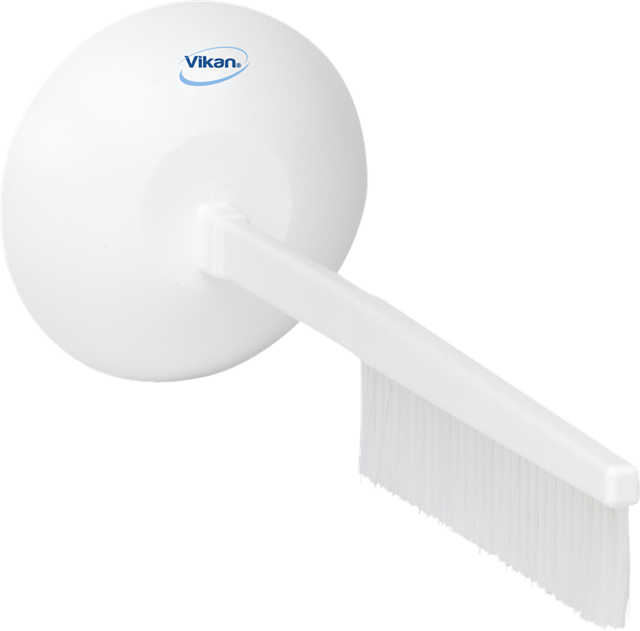 The narrow single row of bristles fits perfectly between the blades of any bowl cutter. 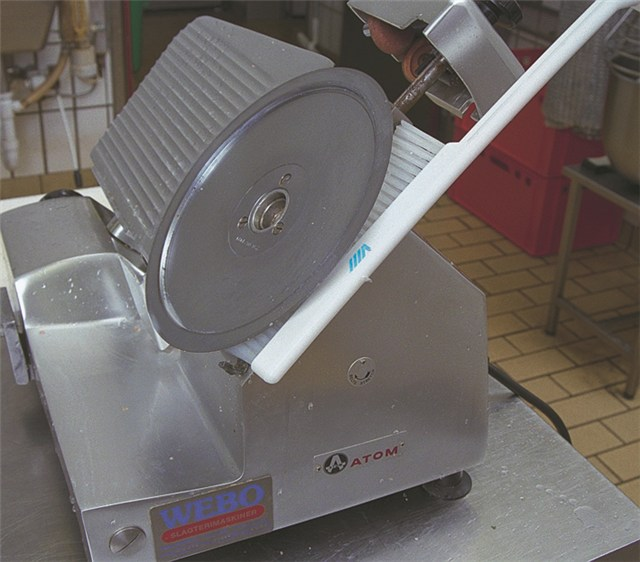 The hand guard protects the user’s hand from being cut during the cleaning process. Using this brush means the machine can be cleaned without being dissembled. Only available in White.